Process Alarm switches have selectable fields, by user. Dwyer's products can operate independently or be connected to operate as a DPDT output. All selections are made through easily accessible switches without the need to open the product. The products can be mounted on a Din Rail. 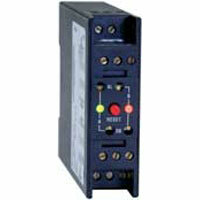 Process/Temperature Alarm Switch Module are on-off or limit switches with selectable process signal. A two color LED indicator indicates the status of each output relay.